Today is Friday. What? You didn't realize that the week is progressing towards its end? Well, allow me to inform you. You're running out of time! I am hopeful that I will finish the long story this morning. I have a couple of loose ends to wrap up and then I can start the revisions...many, many revisions. The due date is Friday next week, so I have a little time, but there are other contests and prompts that I would like to do and this one story has been eating up WAY too much time. At least I was a good girl and got the edit of Chapter 3 off to the author that I beta for. I was only a day late on that one (sigh). Oh well, I tried to be more timely. I'm already looking forward to my coffee and oatmeal at Caribou on my way in to work this morning. 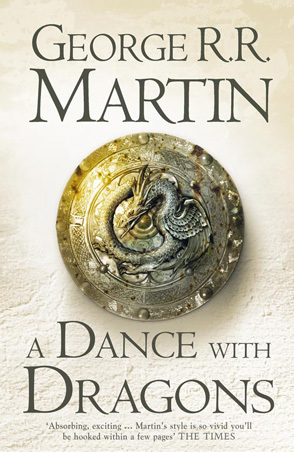 It's my only chance to just read for a half hour or so and I'm into GRRM's A Dance with Dragons right now, so it's a good read, as much as he drives me crazy! Current Location: Focused on my morning shower. I WISH I had a day for that. But, I did get about 1/2 hour of reading in, and then worked and wrapped up my "out of the box" story. Now for the revisions (and revisions and revisions) - LOL. I have about 1/2 hour before I have to start work for the day, so I'll catch up on a bit and start the editing process.